As a community-based settlement agency, the Mennonite New Life Centre of Toronto (MNLCT) is a place of welcome, friendship and community, where newcomers and neighbours gather to support each other, learn from each other, and take action together for a more just and compassionate society. Since 1983, newcomers having been receiving support through the Centre. Programs and services include: settlement services, language instruction, employment mentoring, and mental health supports — together with opportunities for civic participation. 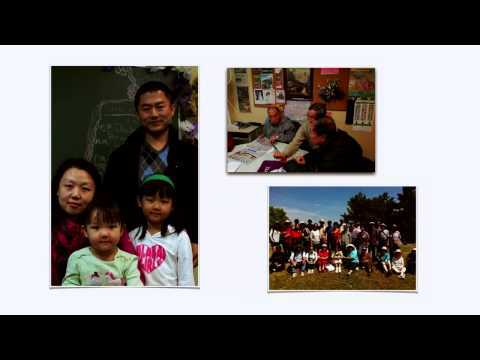 In 2016, Seneca College's Social Service Worker - Immigrants and Refugees (SSWI) Program honoured the MNLCT for our longstanding commitment to improving the lives of immigrants and refugees, and with the help of donors, members, and community partners, we hope to continue working to build a caring and inclusive community where the ideas and contributions of newcomers are respected and valued. The Mennonite New Life Centre’s mission is to facilitate newcomer settlement and integration through holistic services and community engagement, carried out within a gender justice and anti-oppression framework. The Mennonite New Life Centre envisions a society in which all people from diverse cultural and religious backgrounds participate fully in all aspects of Canadian life. We will model an approach that brings together community engagement and community services, working together with newcomers to reduce insecurity and reach integration, strengthen voices and increase social equality. "I got so many things out of this program... like a new family." "So the Mennonite New Life Centre helped me, and now I'm able to help others"
"It changed my life in Canada. It prepared me with all transferring skills to a new professional environment, using a variety of adult learning activities."